Ready to learn how to pickle some turnips? 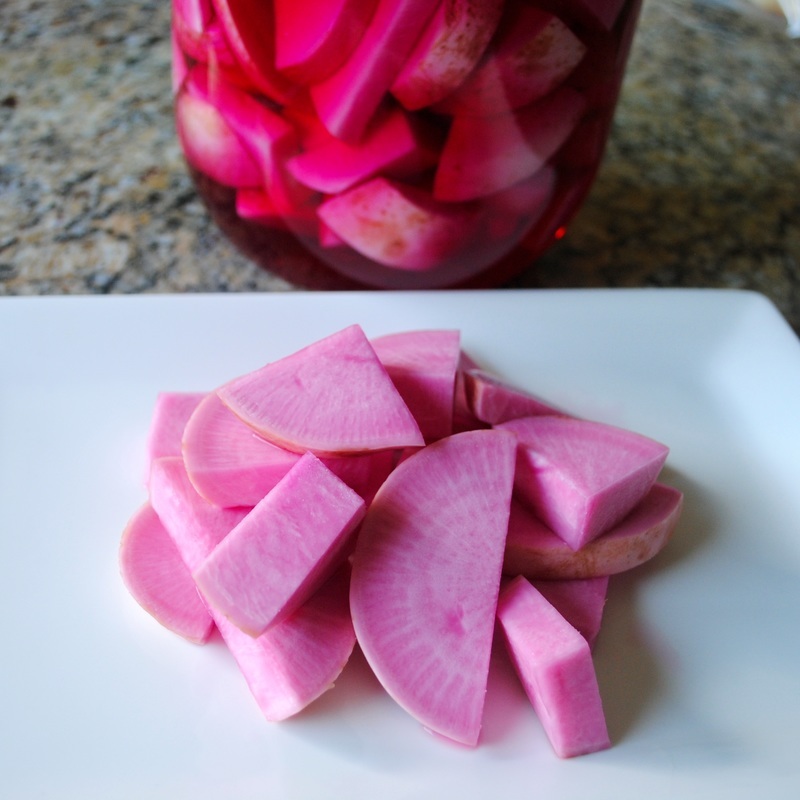 Traditionally, pickled turnips are a part of every Lebanese maza. These are great as a side with any Lebanese dish and with sandwiches (especially in the falafel wrap – recipe coming soon). There are only a few ingredients and the directions are simple. Be sure to pickle these about a week before you plan to eat them because that’s how long they will take before they are fully colored and ready!